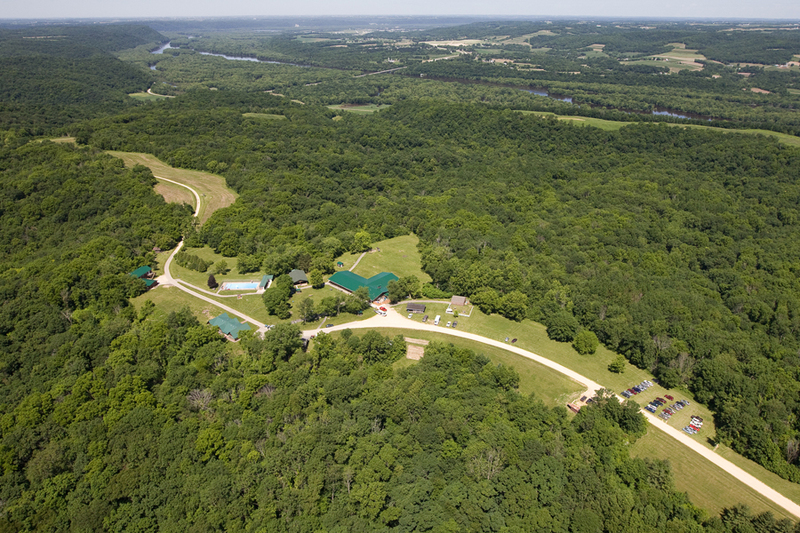 Wisconsin Badger Camp is situated on 680 acres of woodland overlooking the Wisconsin and Mississippi River Valley. The Camp is located ten miles south of Prairie du Chien, Wisconsin, one hour south of La Crosse, one hour north of Platteville and two hours west of Madison. Badger Camp boasts over 20 miles of hiking trails. We have three heated lodges each equipped with kitchen facilities, sleeping dorms, activity room, and restroom/shower facilities. We also have an activity building, wheelchair accessible swimming pool, petting farm, nature center, basketball court, and paved paths. For questions about our Badger Camp grounds, location or accessibility, please contact our office, 608-348-9689 or email, wiscbadgercamp@centurytel.net.